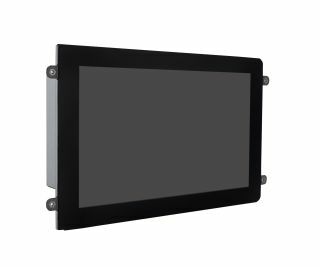 The new line of Mimo Vue monitors is digital signage-ready out-of-the-box, giving customers a solution that’s easy to set up and install. TeamWorks aims to enhance productivity for team meetings—regardless of physical location or device. Mate is the new district manager for northern/central CA, AZ, NV, OR, and UT. Finalists in Sound & Video Contractor's 8th Annual Innovative Product Awards have been announced and voting is now live. Extron's TLS 1025M 10-inch panel for Extron Room Scheduling systems is available now. Videotel Digital has announced their new association with technology installation company, wonderMakr. DPA will be launching small format microphone capsules at AES NY in Booth 633. “How to Set Up and Troubleshoot a Datapath VSN Controller" will be offered twice during New York Digital Signage Week. Alteros introduced a direct-to-fiber extension to its GTX 6.5 GHz Ultra Wide Band digital wireless microphone system. Patrick Griffis, of Dolby Laboratories, will serve as the SMPTE president. Plugin enables simultaneous decoding of all supported sources on a single video wall. The Optoma W512 and EH512 deliver powerful image performance with flexible installation features. Datapath appoints Dave Leat as project director. Strategic move further expands Spitfire’s reach across commercial integration.